Snoring is caused by insufficient airflow through the nasal passages. It can disrupt and affect the quality of your sleep, as well as your partner’s sleep, causing you to start the day feeling tired and weary. That’s where Nose Doze can help! Nose Doze is made of 100% medical grade silicone that is soft and comfortable to wear. 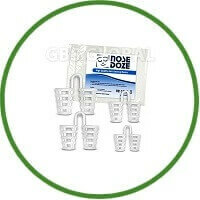 Nose Doze is a simple and cost effective way to help reduce and eliminate snoring. And with FBA’s 30 day guarantee, you have nothing to lose! Enjoy a better night’s sleep with Nose Doze! Order today and sense the difference in your sleep. It’s really worth trying.